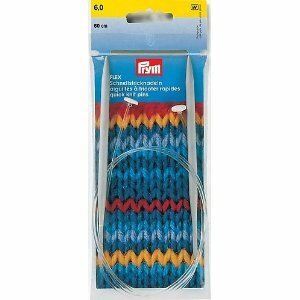 Inox flex needles are a great compromise between straight and circular needles when working with large flat knitting pieces. The long 24 inch flex cables hold stitches like a circular needle but without the connection for working in the round. This allows heavy peices to rest in your lap instead of on your wrists while knitting without the inconvenience of a connecting cord associated with circular needles.